We supply and install CCTV Systems mainly for home use but have several large commercial CCTV Systems that we have previously installed and still maintain. Our experienced and qualified teams undertake installations in all types of property including those that may require specific access solutions. Speak with us to see how we can help you today. You have the assurance of dealing with a company that has been installing in Northamptonshire for over 38 years. As with most things electronic, there are some very cheap products out there and if you are looking for the cheapest then we are not for you. Get complete peace of mind from your local CCTV Systems installer – Northampton Aerials. 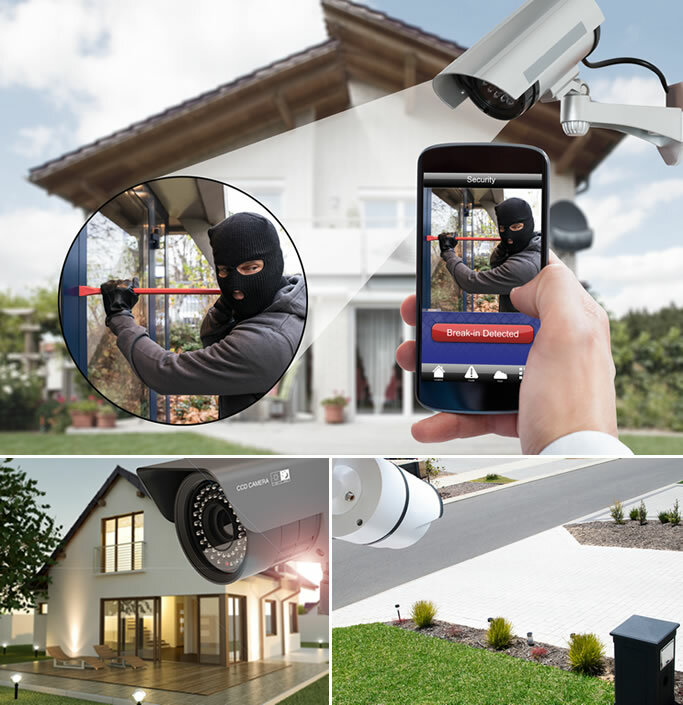 We will provide top of the range security solutions to help keep you secure. You will also be able to get remote viewing and control, plus the option to view the cameras on all TV’s within the home. As members of CAI Plus and the RDI (Registered Digital Institute) we have completed Work at Height Accreditations, City & Guilds & NVQ qualifications. Although we comply with the HSE/CAI safe working at height with ladders in some cases we will use additional access equipment in the form of a MEWP (Mobile Elevating Work Platform) cherry picker or scaffolding. If you believe you may require a Special Heights Installation please contact to arrange a survey. Call 01604 591999 to speak with our CCTV Systems team for a FREE no obligation quote.